Forced Adult Vaccination -OR- Detention. Happening in 3rd World Countries right now… like California! They will soon be joined by other States throughout America if the CDC has their way. Read this because it is TRULY beyond belief, “CDC declares medical police state, announces power to detain the sick and punish those who do not comply” http://www.naturalnews.com/055242_medical_police_state_CDC_regulations_involuntary_detainment.html and watch this video: https://www.youtube.com/watch?v=HlS7-5snZF8 and read these articles: http://eboladeception.com/mayor-admits-spraying-not-effective-anyway/ & https://www.lifesitenews.com/opinion/study-casts-doubt-on-zika-as-culprit. The reality is we’re ALL imperiled now, but if we concentrate on the survival of our children, we will prevail. Keep fighting for them, no matter how much the CDC claims it can vaccinate or detain you indefinitely. No matter how many communities are threatened with quarantine for a communicable disease that does not exist. Our government has built this narrative for some time now and they have all the paper work in order to support their rights to deprive you of yours. Planning ahead as they have, there are plenty of detention facilities to accommodate the “sick” or resistant. No matter how absurd their claims of authority; keep your eye on the prize, the children. Why? 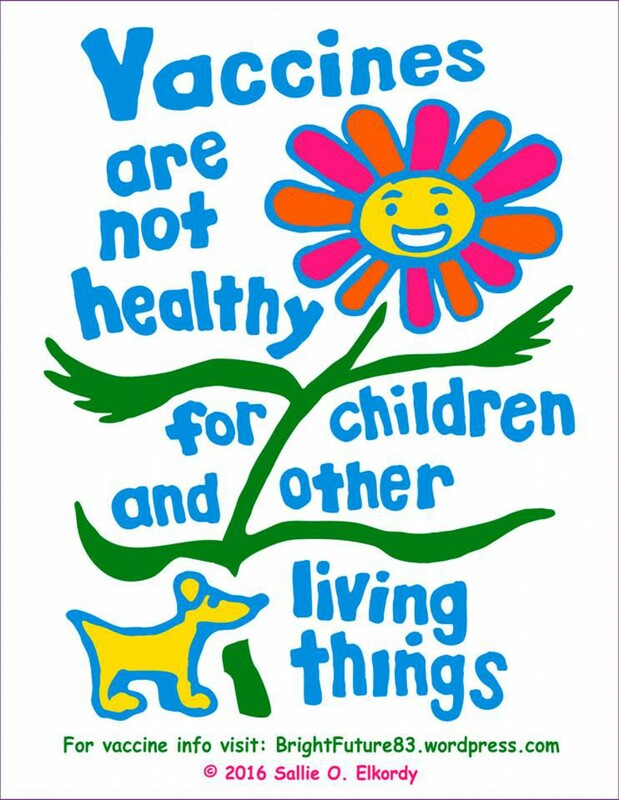 Because while they threaten and intimidate the adults, our children are dying at an alarming rate from vaccination (one in 10 in the USA from 2009 statistics secured by Viera Scheibner, PhD: http://tobtr.com/s/8791545). Adults are not worthy of longevity if we will not prevent legislators, pediatricians, agencies and organizations from injuring children. Stay focussed and cheer up, cause when you fight for the helpless, you in turn fight to protect yourself. Dear Federal Reps, State Reps, Local Reps.and Health Committees at all levels of ELECTED Government: Why is the CDC asking for our opinion when they are not elected to serve us, as are you? I find this inappropriate to say the least. I will answer to their request for comments from us, to you instead. I want YOU to represent me to this unelected agency and this way I will know that YOU understand how I feel about their positions and that we question their authority. *** It appears that the legislative process is being usurped in an effort to promote an agenda without representation. *** (then write your comment). In conclusion, no matter what is intended for adults, what is currently actually happening to our children is far worse (https://youtu.be/obsxJWuZiXA). Inaction to protect children will be a decision you will regret. We still have time, please don’t waste it. If you live in NY, get active with me.